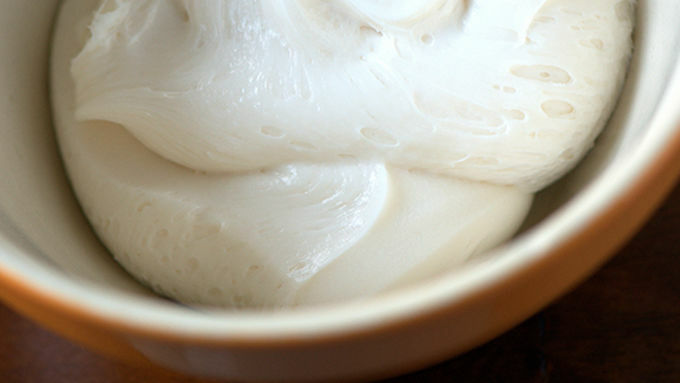 Scoop the frosting out into a bowl with enough room for mixing. Start with 1 tsp. of black food coloring gel. You can also add 1/2 cup of cocoa powder if using vanilla (I did not do this due to family preference). 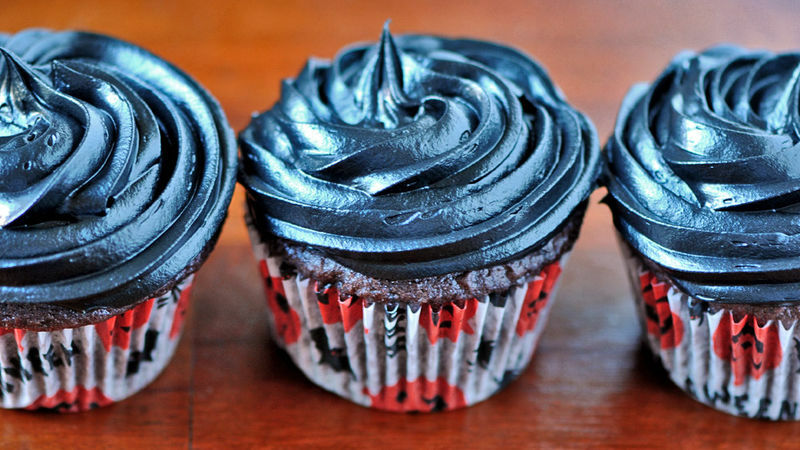 Stir the frosting and assess if you want it darker. If using vanilla frosting you will probably have to add more unless you are happy with dark gray. Use to frost cake or cupcakes of your choice. 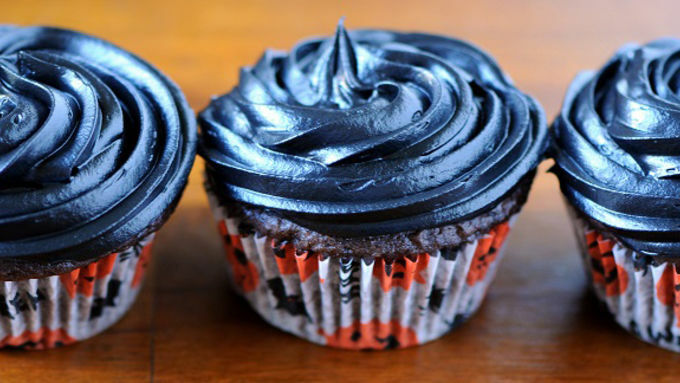 Black icing is easy to make and a fun decorating twist for your cakes and cupcakes! When I was growing up, if you wanted black icing on your cake you had to make your own. It usually turned into an experiment gone wrong, leaving me with a greenish-purple mess that kinda sorta (but not really) looked black. 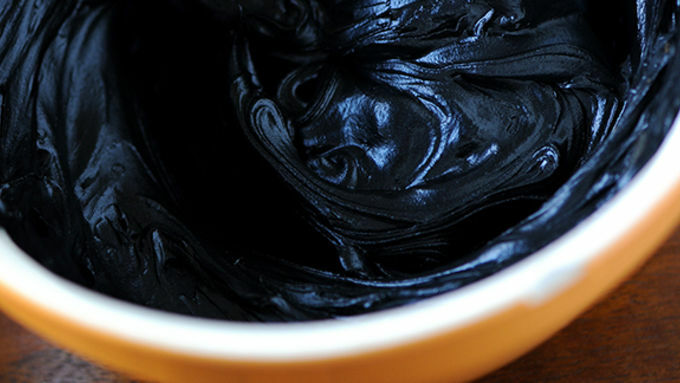 So I am more than happy that nowadays food dye makers make black food coloring that actually looks BLACK….awesomesauce! 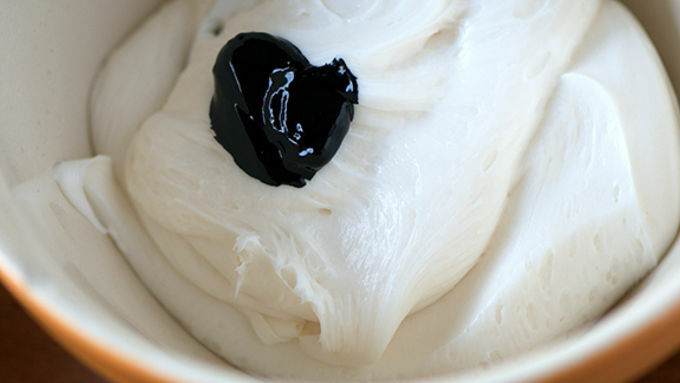 The easiest way to make black icing is to start with a chocolate frosting base, as you are already starting dark. I, however, had kiddos that voted for vanilla frosting, which can work, it just takes a lot more food coloring. So if you are a fan of less food coloring, convince your people to start with chocolate. If you only have vanilla frosting in the house you can add 1/2 cup of unsweetened cocoa powder to it before adding the food coloring. 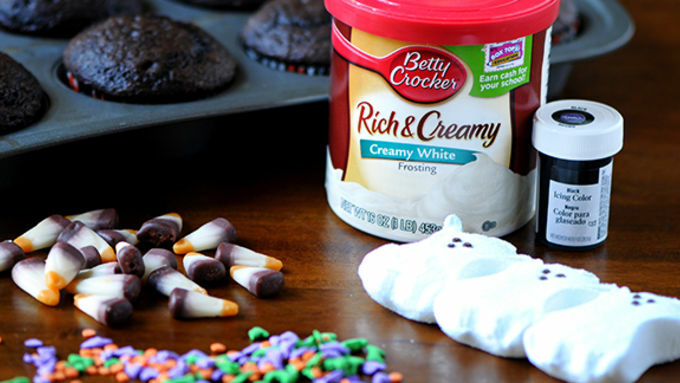 Add decoration of your choice such as sprinkles, candy corn, or ghost shaped marshmallows for a Halloween treat! Perfect for "over the hill" birthday parties as well!